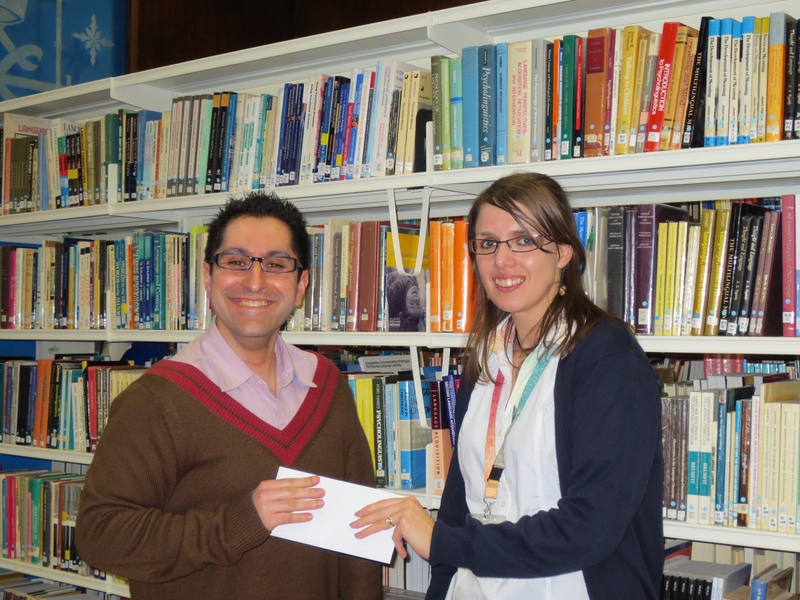 Explore St Luke’s Library Competition – Prize Winner! This has been a big week for prize-giving in the Library – what a pleasure! Not only did Athicha Siriboonlamom, winner of the Library Quality Survey prize draw, collect her iPad at the Forum Library (full story here) but over at St Luke’s Library we were pleased to be able to meet the prize winner of our ‘Explore St Luke’s Library’ Competition. This competition involved identifying various mystery views around the Library and matching them to nearby book holdings. Our winner was Stephen Eftekhari, a postgraduate student in Education who said the competition was challenging but enjoyable. Stephen is a regular user of St Luke’s Library so his prize – a £25 voucher to spend in Waitrose which is handily located just across the road from St Luke’s Campus – should come in very handy! Well done Stephen! Stephen was presented with his voucher by Roxanne Crabb, Forum Library supervisor (pictured) and Rachel Oakes, St Luke’s Library Supervisor. All set in a beautiful green campus environment with far reaching views across the city! Find out more including opening times and how to get there on the St Luke’s Library webpages. 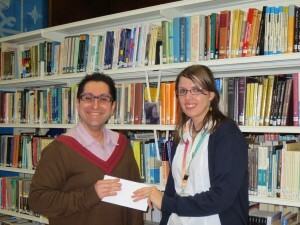 This entry was posted in Luke's Library and tagged competitions, postgraduates, St Luke's on 11th Feb, 2013 by reg206.